“I have the best job!” That was the title of one of my first blogposts after becoming President of Arizona Helping Hands in 2014. I still fervently believe in the huge importance of the work we do, providing basic needs to Arizona’s kids in foster care. The beds that give children a safe place to sleep, the clothing and diapers that ease the burdens on loving foster parents and the birthday packages that tell kids who have had challenging, sometimes horrific, circumstances that they are loved and their day is special – all of these fill me with a great sense of pride and accomplishment in the work we do every day. I was invited to attend the wrap-up of a project done by Scottsdale Leadership Class 33 for Arizona Helping Hands. I had the honor of saying thanks to the team that came together to develop and implement the design of our new children’s play barn. The “Barn Hands” created a plan, raised funds and gave their energy to create a very special play space for children in foster care. Saying thank you to community leaders who know the importance of giving back was a great start to my evening. My next stop was at the Wrigley Mansion, to attend and speak at the Valley of the Sun Active 20/30 Club’s “VIVA” celebration. It was truly amazing to witness the work put in by this energetic group of young women. Their mission is to provide women with an opportunity for personal growth, friendships and leadership development, while improving the quality of life for children in our community. The phenomenal party held on April 12th sought to raise $100,000 to support organizations like ours. Seeing the vitality and heart of these dedicated women, having a chance to say thank you for their hard work to make our community stronger ended my Friday night on a very high note! My “24 hours of gratitude” was topped off on Saturday, in of all places – Walmart. While shopping for toys for our friends’ grandchildren, my wife and I were stopped in the middle of the store by a lady calling “Dan!” I was in Saturday grunge attire – not my Arizona Helping Hands work shirt – and I did not recognize the woman who had called my name. She introduced herself as a member of the Arizona Department of Child Safety. She stopped me in my tracks to say thank you. She told me the agency is incredibly appreciative of the work we do to make lives better for kids in foster care. I was blown away by the unanticipated compliment. It’s amazing what a little thanks can do. In these three incidents over a 24-hour period, I saw the good in our community. I saw a leadership team come together, and young women reach beyond themselves to just do something good. I saw a government worker take the time to let someone know that what they do is important. I am newly charged up to keep doing the work of making lives better for boys and girls in foster care. 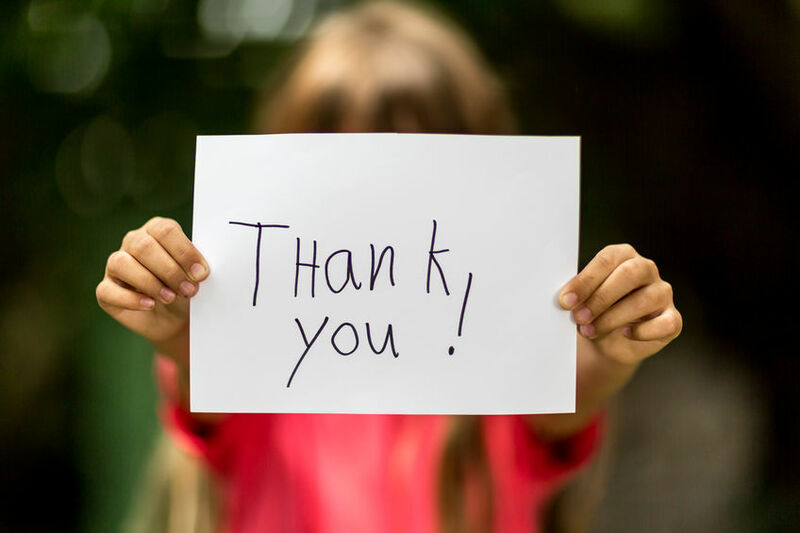 Thank you to all who work and support the 13,000+ kids in Arizona’s foster care system. From the State workers to individuals and organizations who donate their time, talent and treasure, it takes all of us working together to truly make a difference. You have my gratitude. I appreciate and applaud you for caring for the most vulnerable among us. It is so special to see our amazing community bringing hope into the lives of kids who need our helping hands.